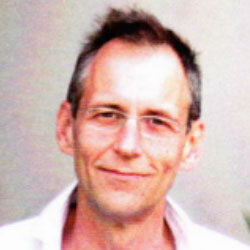 Peter began his career occupying a number of Production Manager positions at Film Australia in the late 1970s. Between 1986 -1992, Peter was the Executive Producer of Beyond 2000, producing a demanding 42 hours of television programming a year. Beyond 2000 went on to become an internationally licensed hit program in 144 countries, as well as becoming one of the earliest successful program (in re-versioned form) strands on the Discovery Channel. At this time Peter also produced two documentaries for Thames Television UK, and a live special for the Discovery Channel. Peter went on to produce 49 episodes of Beyond Tomorrow for Fox Broadcasting of the United States. In 1992 Peter conceived and produced the pilot for The Times, a non-traditional news and information program, commissioned by the Seven Network. In the same year, Peter joined the Seven Network as Executive Producer Infotainment Programming. During this period Peter produced or executive produced a number of successful programs including Better Homes and Gardens, Who Dares Wins, The Great Outdoors and Harry’s Practice. Peter rejoined Beyond Productions in 1994, producing a range of programming for the Discovery Channel, the Learning Channel and executive producing the second series of Ultrascience, including a re-versioned 13-episode series for ABC Australia. In 1999 Peter joined Southern Star Group as Executive Producer. He produced two series ofThe Next Wave, an adventure science series for National Geographic Television. 2001 saw Big Brother arrive in Australia. Peter was the Executive Producer of Big Brother series one, two and three. Since co-founding Freehand Group in 2004, Peter has been the company Director responsible for its production activities. John has been a passionate participant in the screen production sector in this country and abroad for over 20 years. Initially as a lawyer working in Business Affairs, John’s career in television began as Vice President at Grundy Worldwide in Europe where, as a member of the senior management team he helped establish the Grundy television formats, production and distribution business in Europe, South America and South East Asia up until the company’s acquisition by Pearson Television (now Fremantle Media). Upon returning to Australia in 1995, John became General Manager of Beyond International in which role he worked across a broad range of media projects in the factual and drama genres for broadcaster clients that included the Discovery Channel, National Geographic and each of the Australian free-to-air TV networks. 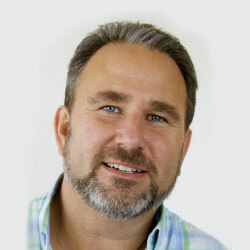 In 2000 John became CEO of the convergent media business Imagination Entertainment (a Tinshed company) one of Australia’s first cross-platform media businesses where he drove the development of a range of new media brands delivering content across both traditional and non-traditional platforms. John well understands that the media business is no longer solely about the pursuit of traditional TV business models. New media means new opportunities for reach, revenue and mutual benefit for all creative collaborators. Creating Freehand was, for John, about acknowledging the seismic shift in the media landscape and realising a desire to create new and compelling commercial content production models whilst maintaining the standard of excellence for which Australian productions have become world renowned.